The Orange County Lingual Institute is the premier Chinese language school in Orange County, offering Costa Mesa Chinese classes for all levels of Orange County Chinese students. The Mandarin Chinese courses are taught at our new facility next to the South Coast Plaza at a cost of $275 per eight-week term. Formerly the Orange County branch of the Beverly Hills Lingual Institute, we take pride in offering Orange County’s premier Chinese instruction using highly educated native-speaking Chinese teachers and university texts. 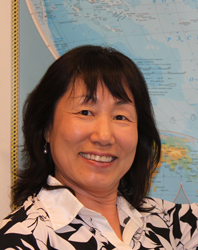 Chinese language tutors are also available for private instruction and corporate programs. When you want to learn Chinese in Orange County, the Orange County Lingual Institute at South Coast Plaza is your best choice. We offer as comprehensive a schedule of Orange County Chinese classes as possible. The levels of classes scheduled reflect our current students’ needs and the anticipated requirements of new students. 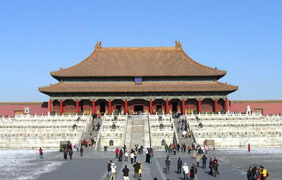 We may also offer a semi-private Chinese class or private Chinese lessons for any level of Chinese. All regularly scheduled classes meet once a week for 80 minutes during an eight-week term. Below are the currently scheduled Chinese language classes. The Orange County Lingual Institute would like to invite you to learn Chinese at our award- winning school where we are proud to offer Chinese and over 15 other languages. Alternatively known as Chinese and /or Mandarin, this language of China as well as the local and the worldwide Chinese community is truly a language rich in history and culture. 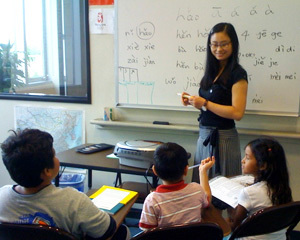 We combine the best Chinese teachers, dedicated and motivated fellow Chinese students, an extremely comprehensive schedule, and a location convenient to residents of the Orange County area including the communities of Costa Mesa, Anaheim, Santa Ana, Irvine, Huntington Beach, Garden Grove, Orange, Fullerton, Mission Viejo, Westminster, Newport Beach, Buena Park, Lake Forest, Tustin, Yorba Linda, San Clemente, Laguna Niguel, La Habra, Fountain Valley, Placentia, Rancho Santa Margarita, Aliso Viejo, Cypress, Brea, Stanton, San Juan Capistrano, Dana Point, Laguna Hills, Seal Beach, Long Beach, and other nearby cities. Signing up for a Chinese course and acquiring a new skill makes busy moms, working heroes and seasoned travelers eager to greet the day. This energy plus a shared commitment makes learning fun and effective at our Chinese School. Combined with other nearby attractions, such as dining and shopping, we can help make language study an event instead of an obligation. Come experience the best Chinese courses in Orange County. I feel that I have been learning at an accelerated level. I have already told others about the school.